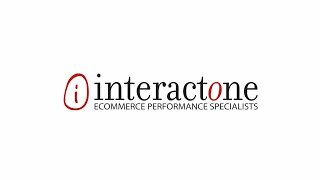 InteractOne loves eCommerce. Being involved in online retail means we (and our clients) get our report card every day. As an agency with both development and marketing expertise, we’re thrilled to help our clients improve their grades across the board. We have a reputation of taking on challenging projects, including untangling sites that have been partially built, or difficult integrations with back office systems. We are recognized in the Magento community for how our technical capabilities flow seamlessly into winning business strategy. InteractOne - building eCommerce success since 1998. Our code review is a detailed diagnostic analysis conducted by a Certified Magento Developer analyzing the foundational aspects of Magento. If you’ve made any modifications to the core programming code there’s a strong probability that those changes have compromised Magento’s performance. With lines of code into the millions, the stability and performance of your Magento instance will be determined by the skill set of your programmer. Our code review is for the merchant who needs a reliable diagnosis of problems related to their Magento core code. Our code review enables us to identify problem areas including Magento bugs, missing security patches, poor coding practices and more. If your business has an online presence, it requires Digital Marketing Services and strategies to gain, maintain and grow your market share. It is not enough if your website makes a powerful first impression. Is it visible to search engines, and in a good way? Or are current efforts at optimization causing Google to penalize your site? Is your site updated often with relevant optimized content and engaging imagery? Most importantly, how well does your website convert potential business? Let interactOne perform a complimentary website analysis, to provide you with the feedback necessary to capture positive attention and increase online profitability. Webinar from InteractOne, Migrating to Magento 2: Procedures, Practice and Pitfalls. InteractOne's President and CEO, Brian Dwyer discusses what's new in Magento 2 and plans for making the migration work for businesses. 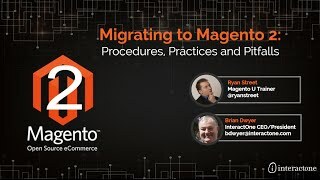 Ryan Street, one of four global trainers for Magento U discusses the Data Migration Tool and migration process with tips for creating a migration plan, testing the migration and finally performing the migration via live demo. In addition, Ryan covers some best-practice examples, case studies and obstacles to avoid. We’re a group of developers, designers, and marketers here to make sure your Magento website, brand and presence achieves your biggest goals. With nearly 20 years’ experience, we have been around from the beginning to see online trends change and eCommerce boom. It’s not always easy to see which internet trends will come and go but its pretty clear eCommerce is here to stay and flourish.